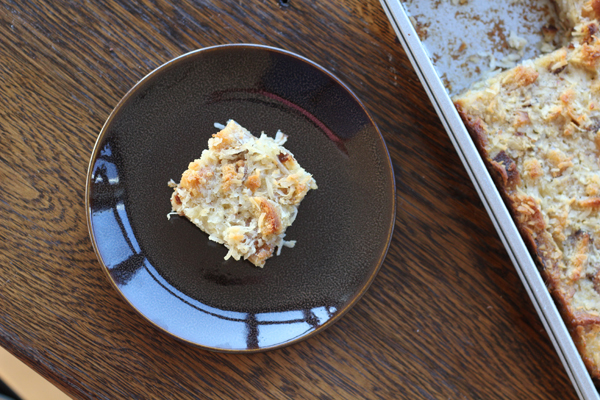 If you are nutty for coconut like I am, I have a dessert you’re going to ADORE! 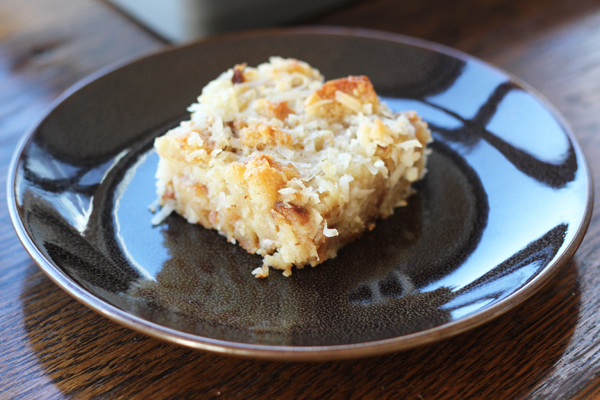 Coconut Cupcake Bread Pudding! I made it with leftover homemade cupcakes, but you could use store-bought ones, a compatible flavor cupcake like lemon, vanilla, or chocolate. Even blueberry muffins would work. 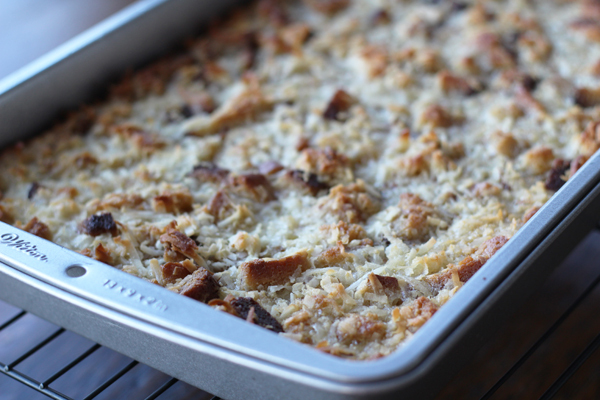 When you are ready to make your cupcake bread pudding: set your oven to preheat (350 degrees F). 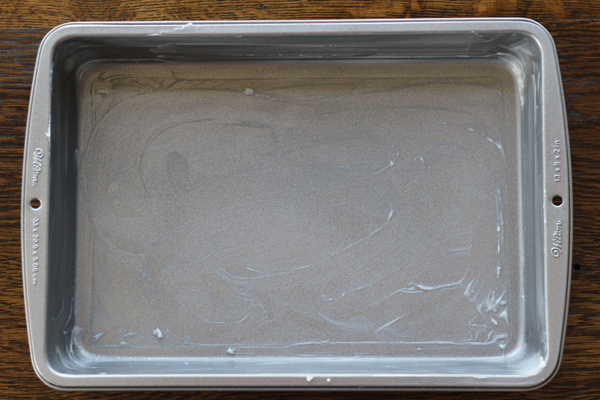 Grease your 9×13-inch dish with coconut oil. Add the cubed cupcakes. 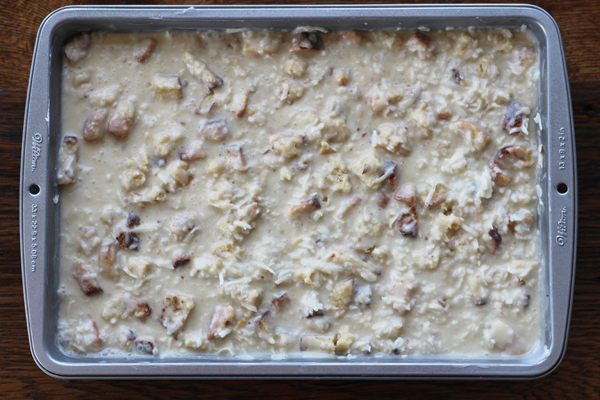 Next you make the custard-like filling that holds everything together. 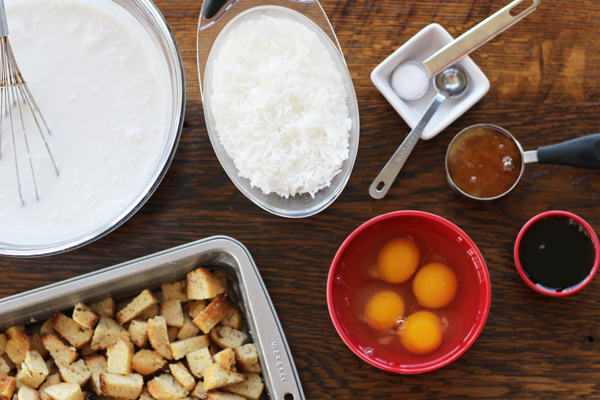 In a large bowl, beat the eggs with the honey, maple syrup, salt, coconut extract, and coconut milk. 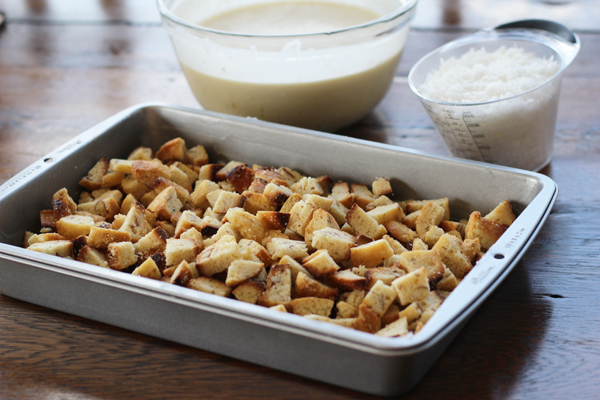 Once that’s ready, you can mix in the shredded coconut and pour it over the cupcake cubes. 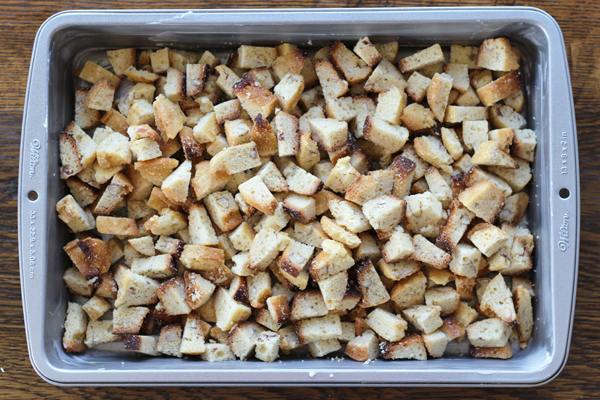 You’ll want to spread the pieces out evenly and make sure all the cubes get soaked. Bake for an hour at 350 and serve it warm. Cover and refrigerate leftovers, if any. Makes 12 pieces (3 x 3 1/4-inches each). Yum. Goes great with vanilla or coconut ice cream. Preheat oven to 350 degrees F. In a 9 x13-inch baking dish greased with coconut oil or butter, add the cubed cupcakes; set aside. In a large bowl, beat eggs with coconut milk, coconut extract, honey, maple syrup, and salt, before mixing in the shredded coconut. Pour over the cupcake cubes, spreading them out evenly to soak each cube. Bake 1 hour. Serve warm. (Goes great with ice cream.) Cover and refrigerate leftovers, if any. 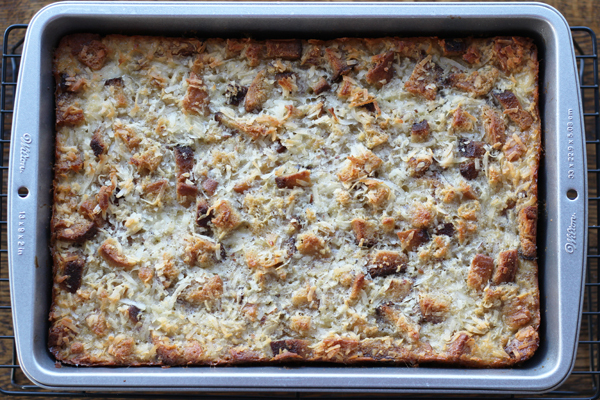 Makes 12 pieces (3 x 3 1/4-inches each). *Tips: I used leftover cupcakes, made from our Mounds of Joy Cake recipe, except I used all-purpose flour, and used half the batch. My 8 cups of cubed cupcakes equaled 24 ounces, but the weight can vary, depending on how dry they are. And dry is fine, because that all changes with the coconut milk-egg mixture.